This list includes online Community & Support resources of a general nature (not directly connected to former Christian Scientists). 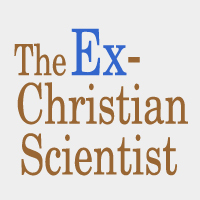 Ex-Christian Scientists (facebook/closed), largely secular Facebook group. Please email [email protected] for membership inquiries, subject line: “Facebook group membership request.” Questions about the process: check out our info page. Christian Science Exit: an open group consisting of people who have left Christian Science and are now mainstream Christians. Child-Friendly Faith Project: the Facebook page for the Child-Friendly Faith Project. They also have a Facebook group. This is not an organization by and for former Christian Scientists, but some former Christian Scientists are involved with it. Blogs by former Christian Scientists, or groups of former Christian Scientists. Emerging Gently: a blog by a former Christian Scientist, with a largely secular viewpoint. Everything’s New: a blog maintained by a former Christian Scientist who now attends the Messiah Lutheran Church. Ex CS UK: a blog site maintained by a group of former Christian Scientists to “make any European contacts feel less far away from the USA and to make it easier for them to join our meetings.” (from their blog) This blog is secular in focus. Kindism: a blog by a former Christian Scientist, with a largely secular viewpoint. Liz Heywood – Speaker & Advocate. See her blog: One Leg Liz. A former Christian Scientist who gives talks on her experiences, and advocates for the repeal of religious care exemptions in child neglect laws in the United States. She has given talks and participated in panel discussions throughout the United States, including Testimony to the Obama Administration, February 26, 2010: Surviving the Faith-based Medical Neglect of My Childhood: An Ex-Christian Scientist’s Story. 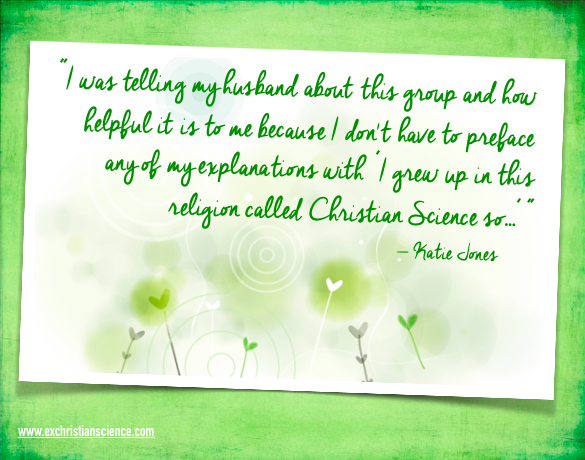 The Pseudoscience of Christian Science: a blog on Tumblr that is the “musings from a science advocate and ex-Christian Scientist, on the dangers, conceits, and conflicts within the religion” (from the blog). Infrequently maintained. Understanding Mortal Mind: a blog by a former Christian Scientist, largely secular and takes an analytical viewpoint. Christian Way: a group of former Christian Scientists who are now Evangelical Christians. They also have an extensive and active discussion forum, to which anyone can contribute, and do so anonymously. The common thread being that most were once Christian Scientists, grew up in it, or at least had some contact with it. Interestingly, some practicing Christian Scientists actively and bravely participate in this forum. It is based in Phoenix, Arizona, USA.